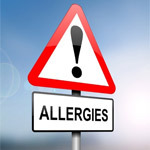 FRIDAY, Nov. 7, 2014 (HealthDay News) -- Many primary care doctors may not be up to speed on the causes and best treatments for allergies, a new study suggests. In a survey of over 400 internists and pediatricians, researchers found that misconceptions about allergies were fairly common -- particularly when it came to food allergies. There were also false beliefs about some of the causes and consequences of allergies. Most internists -- 85 percent -- thought people with egg allergies cannot receive the flu vaccine, the findings showed. And only 27 percent of pediatricians knew that milk and eggs are the most common causes of food allergies in children younger than 4. Instead, pediatricians more often cited strawberries -- which don't even make the list of the eight most common food allergens, said Dr. Neeta Ogden, a spokesperson for the American College of Allergy, Asthma and Immunology (ACAAI). "It's concerning that many pediatricians don't have the most common food allergens on their radar," said Ogden, who was not involved in the study. Dr. David Stukus, the senior researcher on the work, agreed. "This points to some key areas where there's a need for more education," said Stukus, an allergy specialist at Nationwide Children's Hospital in Columbus, Ohio. But the findings, to be presented Friday at the ACAAI's annual meeting in Atlanta, did not come as a surprise to Stukus. "When we designed the study, we were aiming to confirm some suspicions we'd had," he said. And to an extent, Stukus noted, it's understandable that primary care doctors would lack some allergy knowledge, since they can't be experts in all specialties. With something as "vital" as flu vaccination, Ogden said, it's important that doctors are better-informed. Two other misconceptions were common in the survey: Most pediatricians thought skin testing for food or airborne allergens is inaccurate when done in children younger than 3 -- which isn't true, Ogden said. In addition, most doctors thought it was necessary to ask patients about allergies to shellfish or iodine before they could have a CT scan or other tests that use iodine-containing "contrast" dyes. That's because shellfish contain iodine, and some doctors mistakenly think people with shellfish allergies are at risk of reactions to contrast dyes. People with shellfish allergies don't have a higher risk of an allergic reaction to contrast dyes than the general population, according to the American Academy of Allergy, Asthma and Immunology practice guidelines on drug allergies. "What I like about this study is that it points to some misperceptions that would be pretty simple to change," Ogden said. But should people with allergies worry that their primary care doctor can't manage the conditions? "We're not saying that everyone with nasal allergies needs to see a specialist," Stukus said. But, he added, if you or your child has a more complicated condition, like a food allergy -- or if your allergy or asthma symptoms are not well controlled -- it might be time to see a specialist. Stukus acknowledged that depending on where you live, a board-certified allergist might not be readily available. In those cases, Ogden suggested that patients learn more about their condition, through reputable medical websites, so they can at least ask their primary care doctor informed questions. "I always say, don't just sit on your symptoms," Ogden said. "There are many ways we can help you get them under better control." The data and conclusions of research presented at medical meetings should be viewed as preliminary until published in a peer-reviewed journal.